Mention Cai Qin 蔡琴, most people would know the Taiwanese starlet as she is famous for her strong, powerful vocals bringing us many classic and memorable hits like “Forgotten Times” 《被遺忘的時光》, “Just Like Your Tenderness” 《恰似你的温柔》, “The Last Night” 《最後一夜》, “Reading You” 《讀你》, and “The Spirit of Your Eyes” 《你的眼神》. She was also known as the “Patti Page of Taiwan”. 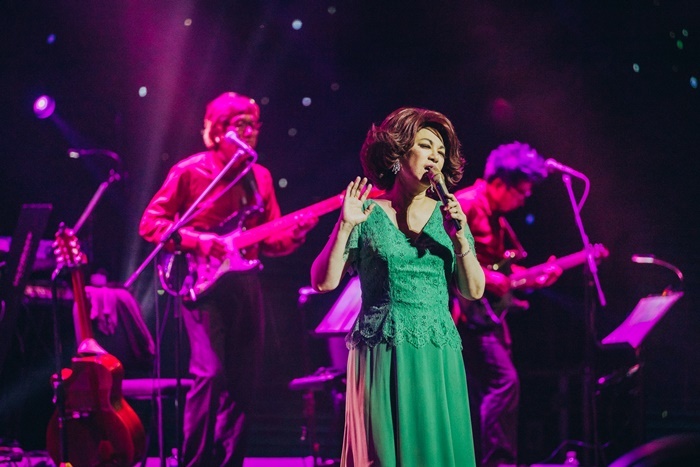 Cai Qin came back to Singapore this year to perform at The Star Theatre, The Star Performing Arts Centre. We were so glad to be able to catch her in action and seeing her sing live on stage. Before watching her performance, we attended her press conference held at Grand Hyatt. She shared interesting stories about her fondness for Singapore food especially Chicken rice and Pandan chiffon cake. Cai Qin mentioned that her highest record, she can finish 8 chicken drumsticks and 4 bowls of rice in one day! Whenever she is in Singapore, she and her team will definitely bring back boxes of Pandan chiffon cake that she jokingly mentioned in turn, they are helping to promote Singapore’s economy. 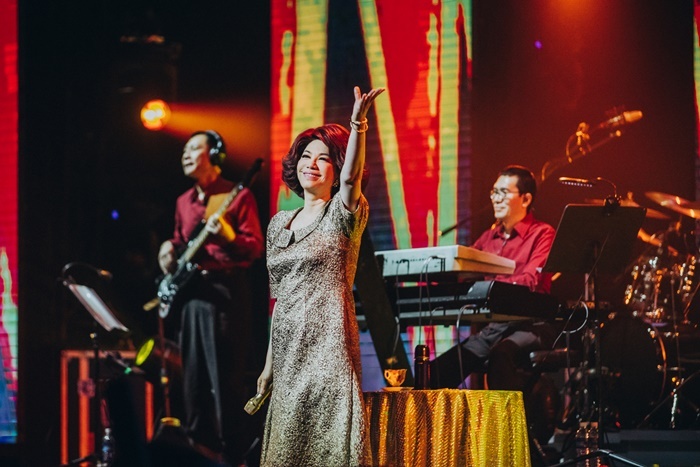 Cai Qin’s concert titled “经典琴歌”, noticed the word “琴” (Qin) is Cai Qin’s twist to replace classic with her own classic songs which her fans will know she has many classic songs. The theatre was filled with audience from young to old and many were seen bringing their parents to enjoy the concert together. 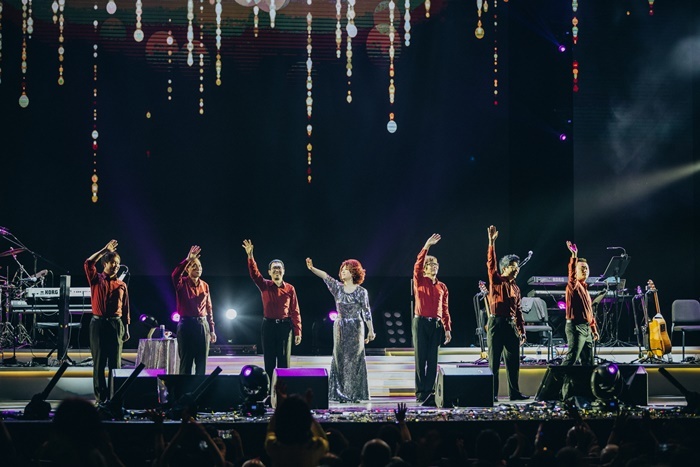 During the concert, she mentioned that audience had been calling the organisers that they would like Cai Qin to sing more of her own classic hits which she is glad that the audience called and she is more than happy to fulfill their wishes. She shared that it came as a surprise to her that her song “The Forgotten Time” (被遗忘的时光) became an iconic song because of the hit Hong Kong movie series, Infernal Affairs starring Andy Lau and Tony Leung. She became so well-known and even more so than the actresses in the movie. With that she started singing “The Forgotten Time” to roaring applause from the audience. 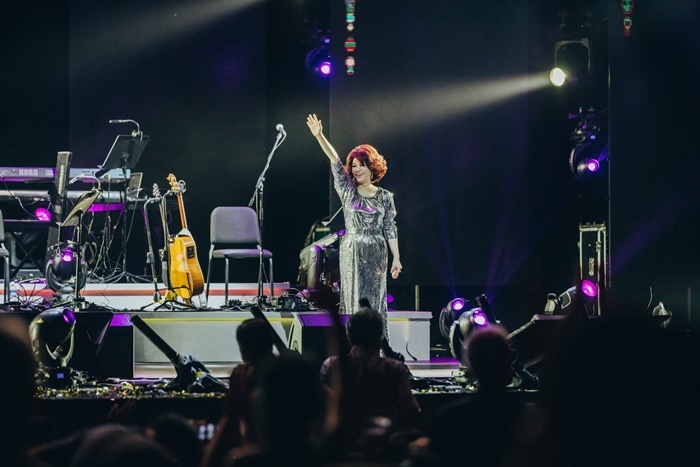 There was no dull moment as Cai Qin serenaded the audience with songs from her 1st album, her signature songs all the way to her favourite songs from other singers. She was very witty and charming on stage often poking fun making the audience laugh. Many times she would engage the audience and made us sing along with her. It was a heart-warming and enjoyable concert that bring back fond memories of the good old days. We hope to see more of Cai Qin back in Singapore!